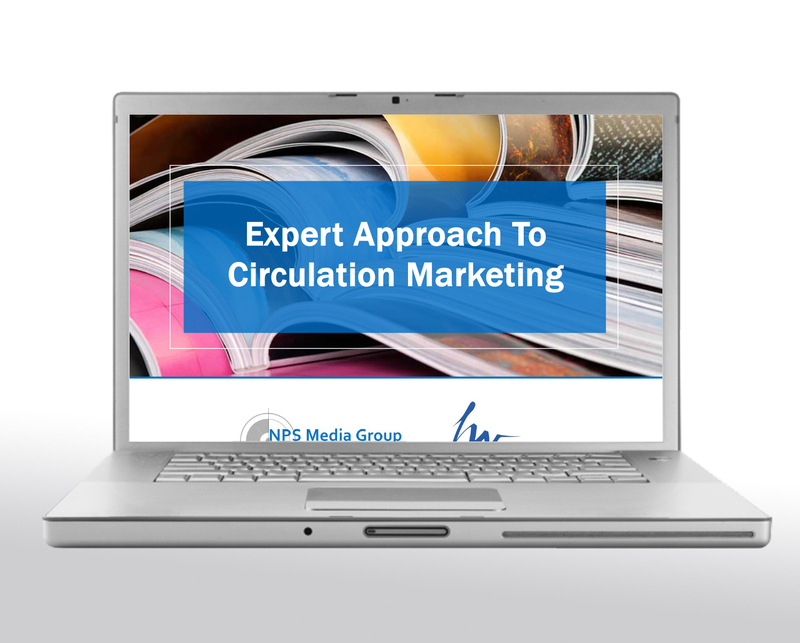 I’ve been working with NPS Media Group for several years now, mainly designing circulation promotional materials for their clients. This is one of the first projects for their business that I’ve had the pleasure of working on – and man was it fun! Jared Katzman, the Director of Business Development, approached me with a *very* tight deadline to redesign their sales pitch PowerPoint presentation. When he sent over what they were currently using (see below), I knew I needed to help! I immediately jumped on board and worked through redesigning the first few slides – sending to him for review by the end of that day. 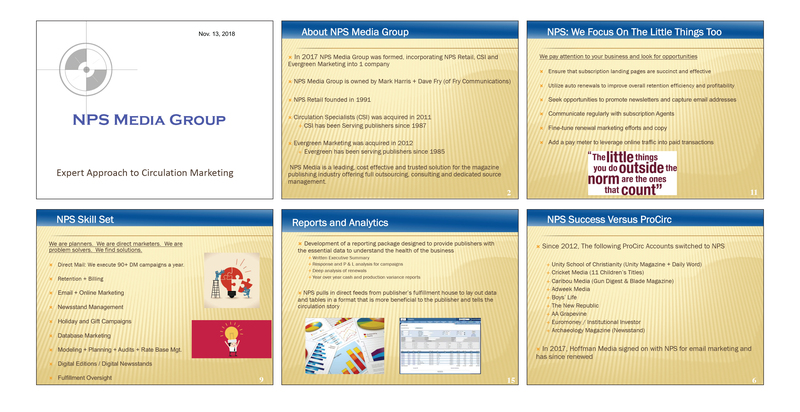 I wanted to make sure I was moving in the right direction before applying a design to all slides needed – and thankfully he came back to me with a resounding “YES, WE LOVE IT!! !” (three exclamation points, no lie). Over the next 3 days I reworked every slide, not only applying the new design theme, but creating custom icons and imagery to compliment the message. 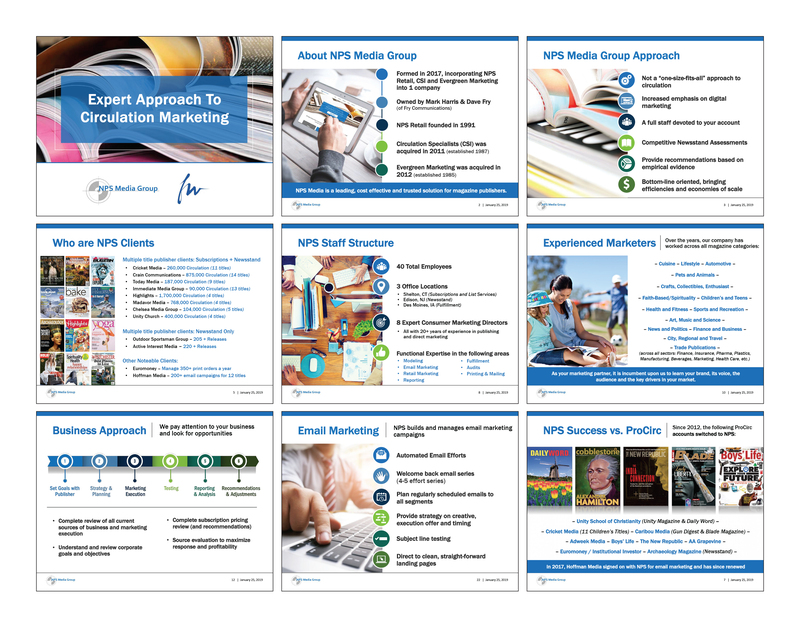 I really wanted the images to enhance the information – because we all know that sitting through a presentation full of text only is painful!! I wanted the visuals to be stimulating, engaging, and easily comprehensible.